Cairo Toastmasters Meeting - Develop your Public Speaking! You must be a member of the Cairo Coaching & Self Development Group to attend this activity. Would you like to join this group? You are more than welcome to attend the Cairo Toastmasters Meeting from 6: Protected content PM on Wednesday at Career Gates in Dokki next to Al Msaha Square. A Toastmasters meeting is a learn-by-doing event in which participants hone their speaking and leadership skills in a no-pressure atmosphere. Through a series of 10 self-paced speaking assignments designed to put a basic foundation in public speaking, you'll learn how to express yourself, deliver presentations, also you will get to develop your leadership and communication skills. 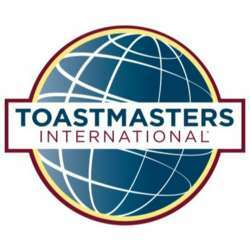 Toastmasters will give you a GROWING experience once you decide to join the club. With more than 300,000 active members in more than 16,000 club all over the world improving their public speaking and communication skills, you'll be a part of a global network of success. All guests must pay an entrance fee of 30 LE.